Made from Premium Chocolate Brown leather, this is not your normal Key Fob. This versatile Fob can be used for your Keys, Hoof Picks, Bag Zipper-Pulls, Gate openers, and many other small items that are often lost or misplaced. Copper Pony Key Fob, this is not your normal key fob. This versatile fob can be used for Keys,Hoof Picks, Bag Zipper Pulls,Gate openers, and many other small items that are always being lost or misplaced. 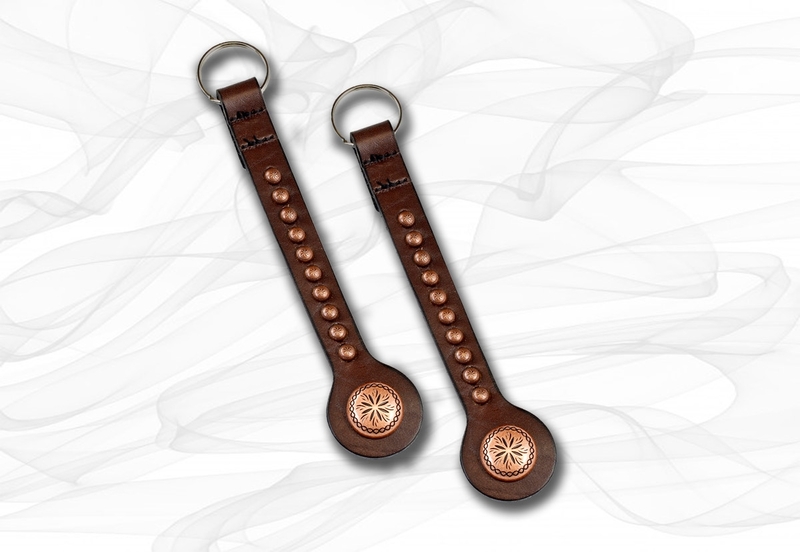 Made of our Premium Chocolate Brown belt leather,with antiqued copper sunburst spots, complete with 1″ key ring. BELTS: See our Belt Measurement Guide for details on getting the best fit. BRACELETS: 17 inch total length, fits most wrists.